Valves are elliptical with broadly rounded ends. The axial area is narrow and the central area is transverse, formed by alternating short and long striae. The raphe is filiform and the raphe branches are nearly straight. Proximal raphe ends are straight, small and bulbous. The striae are wide and radiate, becoming nearly parallel at the ends. 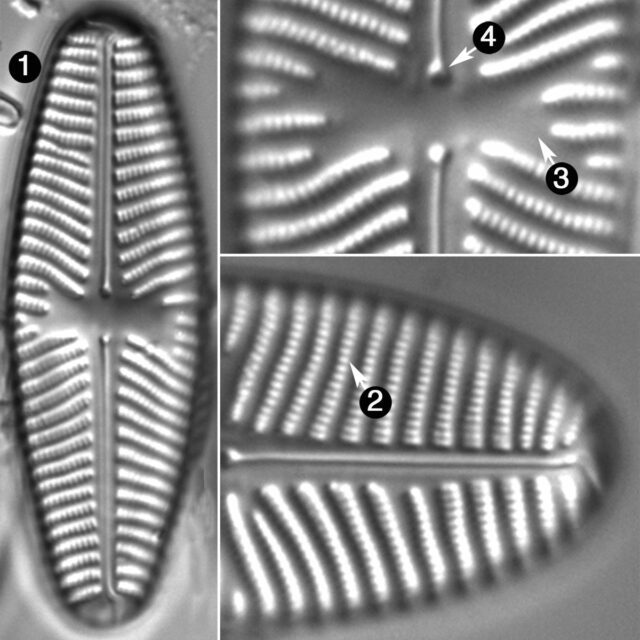 Areolae in the striae are coarse (23-24 in 10 microns) and easily distinguished in LM. Navicula reinhardtii has been collected from seven locations in the Northwest, all of them lakes or rivers below lakes and reservoirs. Four of these collections are from Montana with one each from Alberta, North Dakota, and South Dakota. The pH of these waters is 8.30-8.58 and specific conductance is 122-487 µS/cm. Patrick and Reimer (1966) report this species as widely distributed in fresh water of high mineral content or in slightly brackish water. Populations of Navicula reinhardtii are typically very small. 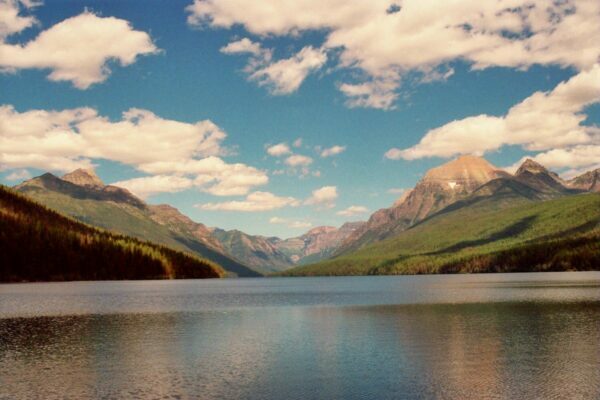 Bowman Lake, Glacier National Park, Montana: home of Cyclotella praetermissa. Grunow, A. (1880) Bemerkungen zu den Diatomeen von Finnmark, dem Karischen Meere und vom Jenissey nebst Vorarbeiten für Monographie der Gattungen Nitzschia, Achnanthes, Pleurosigma, Amphiprora, Plagiotropis, Hyalodiscus, Podosira und einiger Navicula-Gruppen. Kongliga Svenska Vetenskaps-Akademiens Handligar, ser. 4, 17(2): 16-121; pls. I-VII. Van Heurck, H. (1880) Synopsis des Diatomées de Belgique. Atlas. Ducaju & Cie., Anvers. 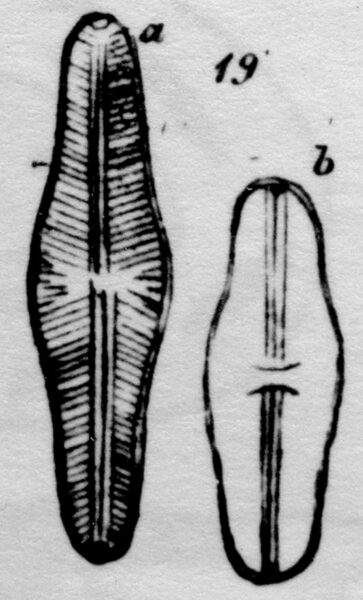 Navicula reinhardtii has elliptical to oblong valves with wide, coarsely lineate striae, a transverse central area formed by alternating long and short striae, and proximal raphe ends that are straight, small and bulbous.